This piece follows on from Part One. After a successful morning’s birding and a very fine lunch, Peter and I made our way to our next site, Bang Poo. The site is a small on the coastal edge of Bangkok proper, a park and pier sicking out of mangroves and wetlands. It’s kind of an odd spot, a mix of protected wetland and mangroves mixed with some manicured lawns and parking. Straight in the gate I saw another Shikra, a relative of the sparrowhawks and goshawks. Also prominent on the roads were Oriental Magpie Robins, a common chat in this part of the world, as well as White Wagtails, a Yellow Wagtail and a Common Sandpiper. The avian highlight of Bang Poo is probably the huge flock of Brown-headed Gulls I’ve spoken about before. They are popular with tourists, and worth picking through with care as other gulls can turn up with them. Peter quickly found a Black-headed Gull as well, as well as a Heuglin’s Gull, a rare winter visitor from Siberia. 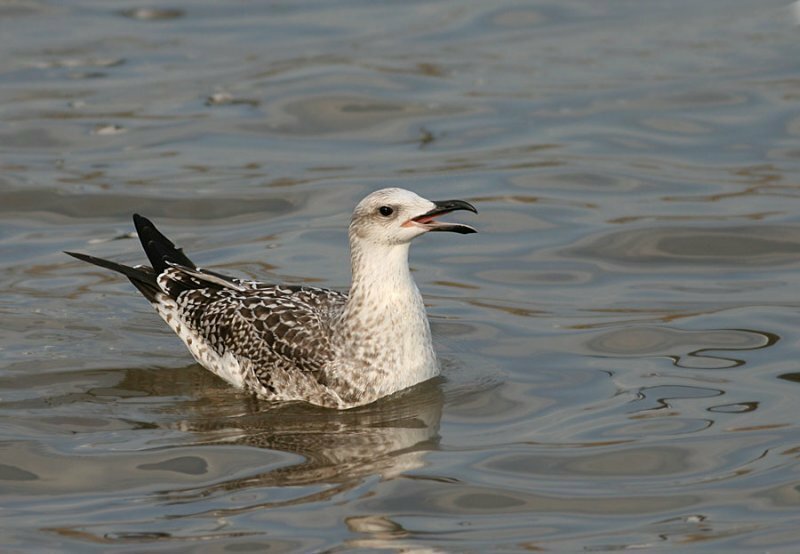 (This particular species is something of a taxanomic nightmare, as it may be a Heuglin’s Gull, which itself is sometimes considered a subspecies of the Lesser Black-backed Gull or the Herring Gull, and the race found in Thailand may be a species in its own right, the Taymir Gull, which may just be a hybrid of the Heuglin’s Gull and the Vega Gull. If this kind of mess is what birders call a gull is it hardly surprising laypeople just call them seagulls?). The whole mess of gulls were often up in the air when tourists threw food to them, and on one occasion when they were put up by a Brahminy Kite. Back in the mangroves and another lifer straight off the pier, a Dusky Warbler! In fact the area where the pier hit the mangroves was crammed with birds, including Pied Fantails, a very vocal Oriental Magpie Robin, Green Herons and Little Egrets. A quick walk and we were at the hide inside the mangroves where the wetlands held roosting flocks of shorebirds of various kinds; Common Redshanks, Marsh Sandpipers, Black-tailed Godwits, Pacific Golden Plovers, Common Greenshanks and Grey Herons. One final bird here was heard in the hide but not seen until I stepped outside; the Mangrove Gerygone. Also known as the Flyeater, this tiny bird is the only representative of the Australasian warbler family found in mainland Asia, and very similar to my own Grey Warblers in New Zealand, even their songs. The final location of the long day was the nearby fishponds of Muang Boran. Set amongst industrial and residential areas near a busy road, these fishponds are a grassy oasis in the city. Straight off the bat we found a Little Grebe and a small flock of distant Cotton Pygmy-geese! Soon afterwards we flushed a Grey-headed Lapwing, one of many we saw there. 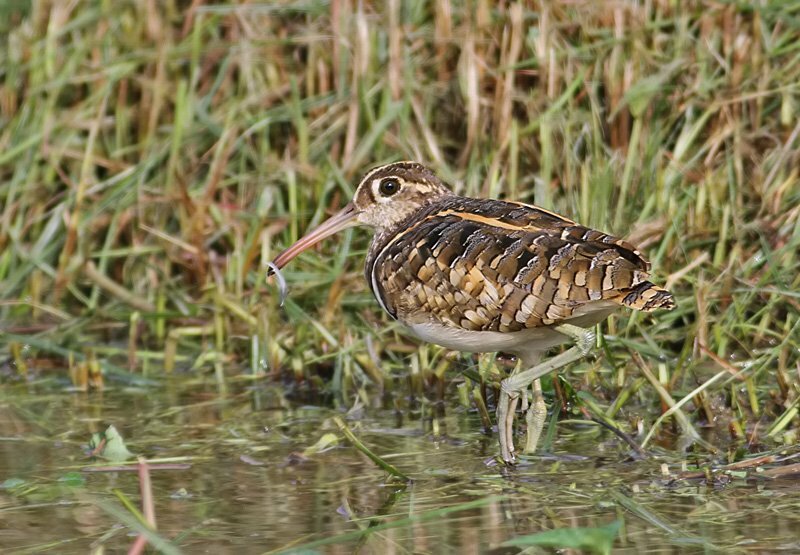 Birds came thick and fast as we slowly moved along the rail through the ponds, a Stejneger’s Stonechat landing in a nearby bush, a Bronze-winged Jacana running across the grassy waters at speed, a Yellow Bittern flying past. More Plain Prinias, Little Cormorants, Little and Great Egrets, along with an Intermediate Egret. 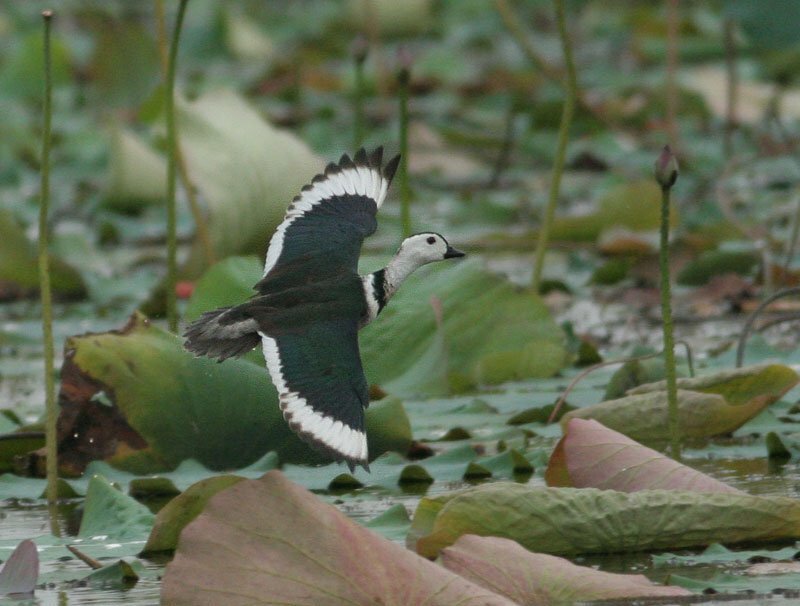 A target bird was next, the Pheasant-tailed Jacana, which was sadly not in breeding plumage but was still attractive. Then, among tall grasses, a flock of Bayan Weavers, the first representative of this family I had seen in 8 years. Further in and the birds kept coming. Magnificent Purple Herons and perhaps the rather mundane Common Moorhens. The site is famous for warblers, and we located but could not see an Oriental Reed Warbler, but had better luck with the Striated Grassbird and the Yellow-bellied Prinia. Also nice was the Common Kingfisher, a bird I never have much luck with in the UK. Rails are also something of a speciality here and White-browed Crakes were easy to see. Peter got very excited by an Oriental Darter, a bird he said was pretty mega, and one that meant I had seen every member of that particular family. The best pretty much waited till last, a stunning Long-tailed Shrike, an elegant Black Bittern and best of all a male Greater Painted Snipe. This family has been something of a nemesis for me, so it was nice to finally see it! Muang Boran is apparently considered poorly by some guides, but I have to say I thought it was the highlight of the trip for me (Peter, I should point out, doesn’t think that at all). It’s actually a surprisingly nice location and one you can ge a lot of great birds that are hard to get elsewhere in Thailand. And it is an easy visit from central Bangkok. If you have some time to kill, or better yet a tour of Thailand planned, be sure to include it! And if you are going to Thailand and need a bird guide be sure to look Peter up! He was excellent company and knows his stuff. Exceptional post as always, Duncan. This adds another location to my already extensive list of Asian birding destinations. I particularly liked your foray into Asian LWHG taxonomy. Wwhen I saw that picture and the caption “Heuglin’s” I thought that this was one heck of a bizarre Heuglin’s. A wonderful set of birds, considering it was “ubrin’ birdin'”. I hope to one fine day also make it to Thailand.